A note about this week’s links: When a shoe was sold at both Nordstrom and J.Crew, I opted to link to both stores. With free shipping and free returns Nordstrom wins! But I realize that some of you may want to try a few options or have had your eye on other J.Crew items. 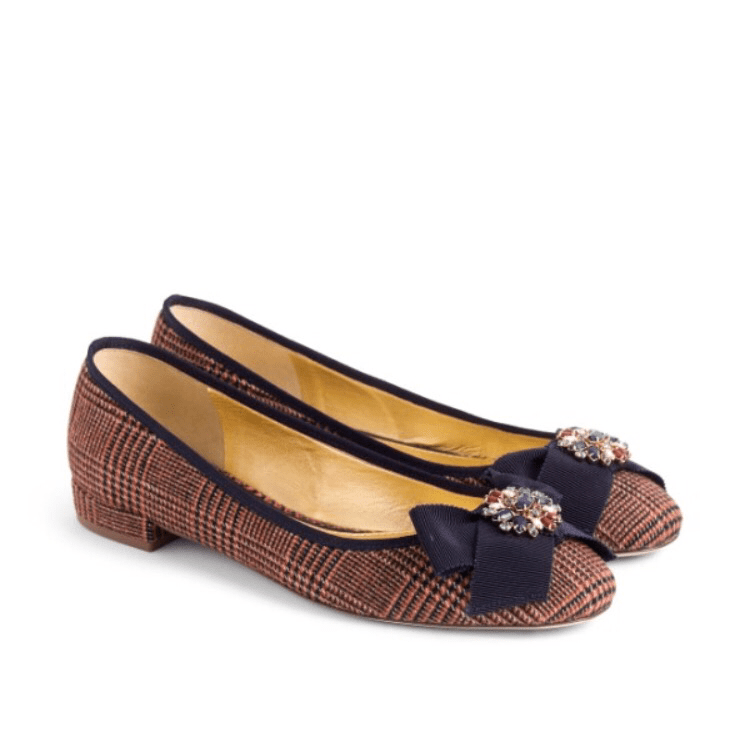 And in the interest of easing the confusion – the pictures in this post are not linked. .
Foster Flat (Nordstrom, J.Crew ) – These Tweed embellished beauties are everything they appear to be in the photo. I ordered them two weeks ago and I’ve been dying for cooler temperatures and darker colors to be able to wear them. They are TTS and super comfortable. Lace-up Pump – I don’t even know where to begin with these. I guess with the navy and red stripe tie. You know I have a thing for navy … and stripes … but the little heart details that disappear into a simple pattern at a distance are perfectly over-the-top. 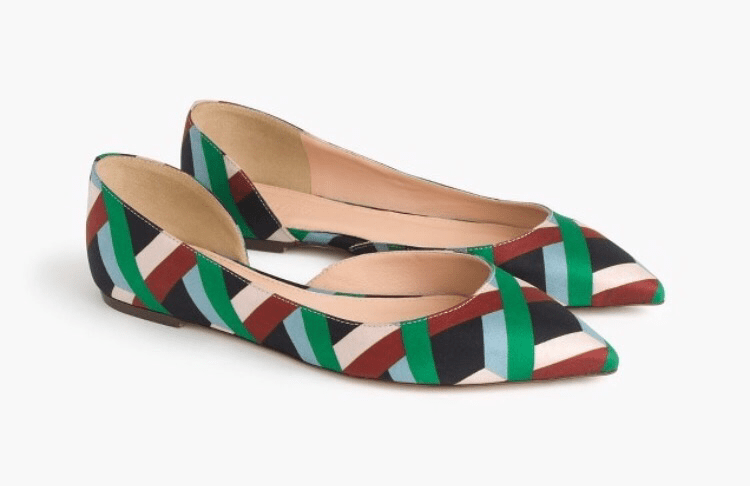 Elwood or Avery Pump (Nordstrom, J.Crew) – The black and white pair was the one I first fell in love with on the Nordstrom site and then I discovered the other patterns from J.Crew. They are all good and the lower heel is very practical for anyone who has to actually stand or walk in their shoes. 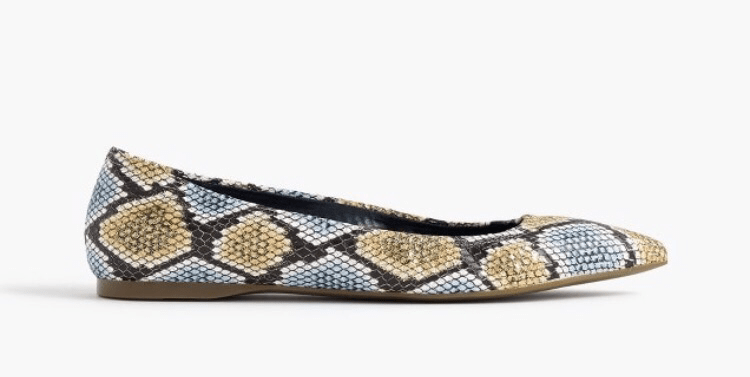 Elsie Snakeskin – In case you missed it the first two times I typed it … always … always … say yes to snakeskin. 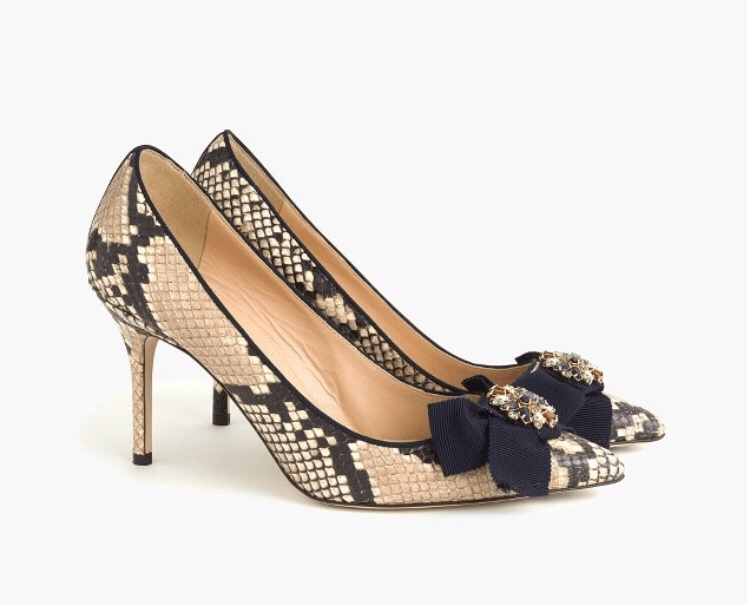 And snakeskin with bows and gems is not over-the-top. These would be the perfect statement shoe for a suit. There you have it. 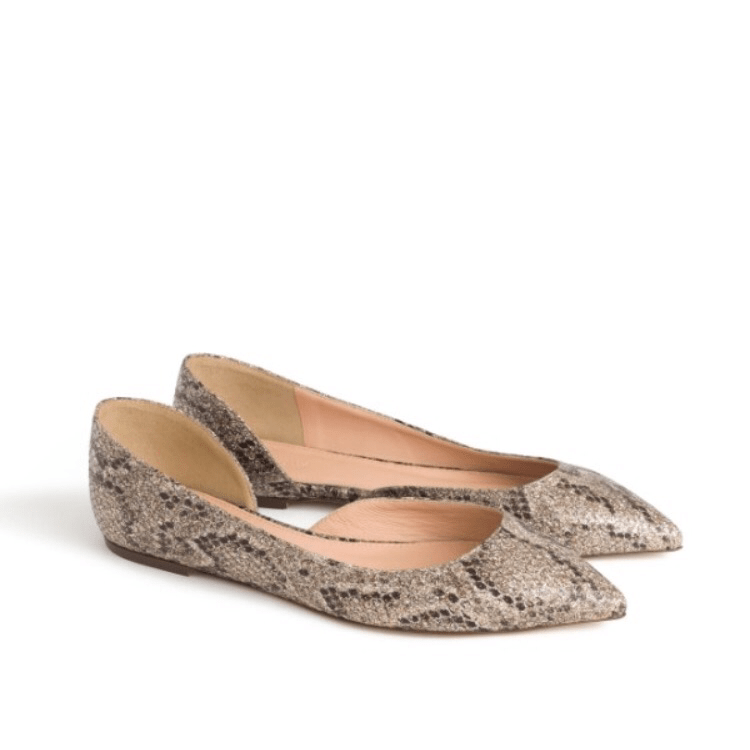 Today’s Shoesday picks from J.Crew. There were more in the collection but these were the ones that caught my eye. Happy Shoe Shopping! See you next Shoesday where I’m thinking either Boden or Zara … let me know if you have a request for a specific store though!